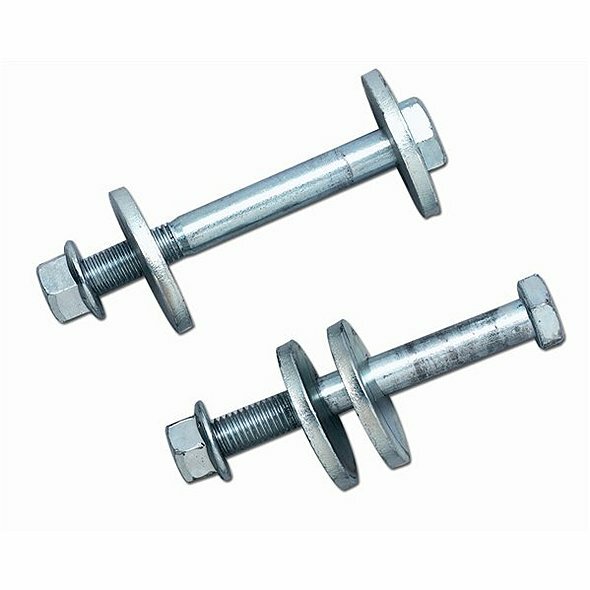 Cam bolt kit for TJ Wrangler rear upper arms. This kit allows for adjustment of pinion angle in rear of TJ for proper driveline phasing. Usually gives only 2-3 degrees of adjustment. A cheap alternative to our adjustable upper control arms.